One of Jack’s recent school projects was to draw/design a bridge and then construct it out of recyclables. The story presented was about gnomes trying to get to their homes, but they had to cross the lake to get there. The bridge had to hold three crayons and be at least one crayon wide. Jack’s held A LOT more than three crayons, but he forgot how many. 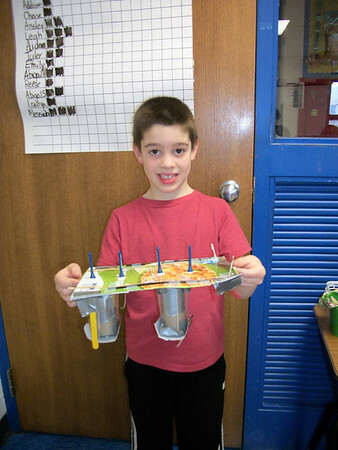 His teacher took a picture of his bridge at school. 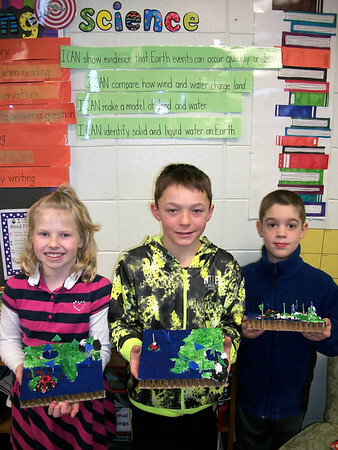 The second photo is of his land formations which they built out of clay.